It is already the middle of November. I wanted to write this post right when the month began but we were understandably busy, standing down a storm and preparing for political winds to change. Here we are, one week away from Thanksgiving. November is the month of Thanksgiving (kind of like how October is the month of Halloween and Breast Cancer Awareness). This month, more than every other month, we give thanks for the things we have. We make gestures of charity to those in need. 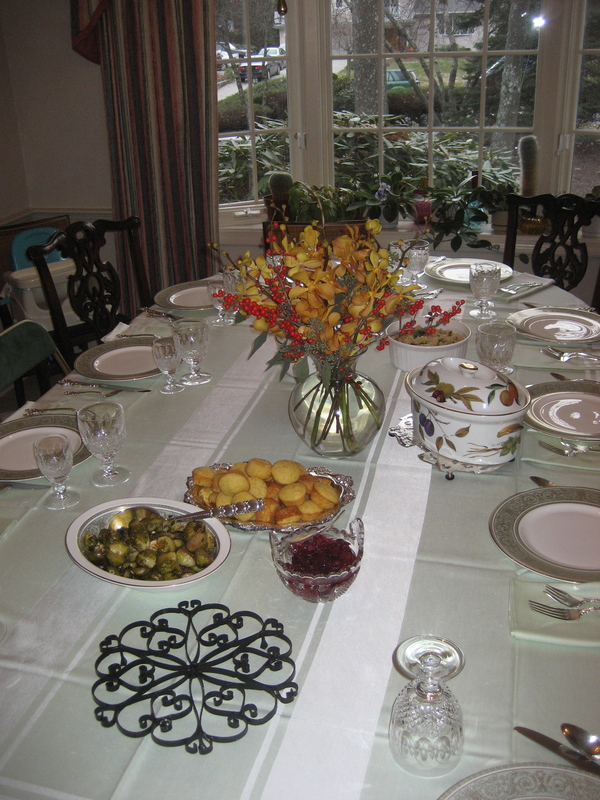 We recount a vague history of the first Thanksgiving meal. We make these days so precious—gathering together with loved ones, inflating the market for turkeys, and over-eating. We make the chances for Thanksgiving so scarce by bemoaning their importance only in November. Even though I sound cynical, Thanksgiving is and has always been my favorite holiday. My parents and grandparents were married on Thanksgiving, so our holiday meal always felt extra celebratory. Thanksgiving was really the way our families began. 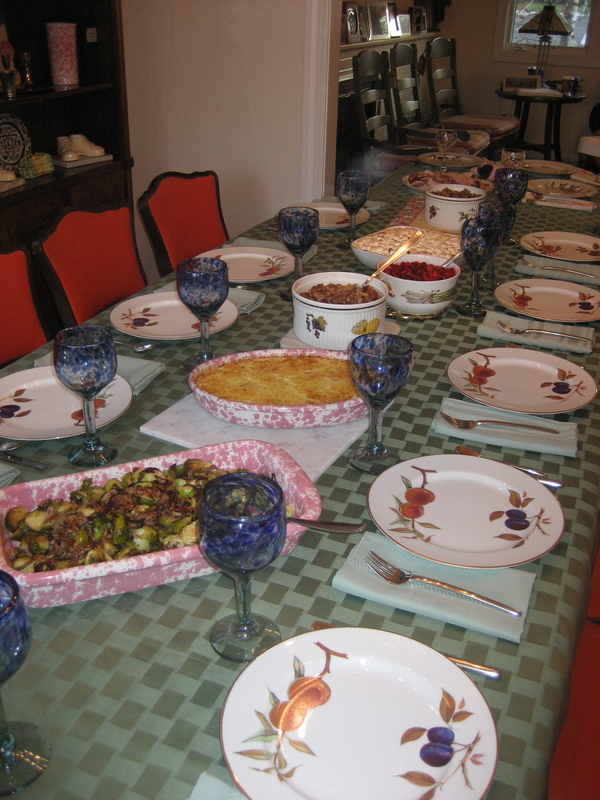 Growing up, I knew that these Thanksgiving meals together would not necessarily last forever. Life could get complicated and maybe one day, I would have to be away from my parents’ dining room table and the people I loved so very much. How could Thanksgiving feel as special without them? Then life got more complicated. After college, I moved further away from my parents. My sister, a registered nurse, had to work on Thanksgiving. I started dating and eventually married someone who lived hours away. As newlyweds, we had to make decisions about where to spend the holidays. My sister married too, and coordinating when we would be home together for Thanksgiving got to be complex. My mom passed away. Celebrating together made us realize someone was missing. I always felt as though these Thanksgiving days were precious, like we could never be as close as family on any other day. Those were the musings of a naïve young lady. I have my own family now and still travel to the home of a parent or family member for the Thanksgiving. I have a schedule now—one year with my family and one year with my married family (cross-referenced with my sister’s own family so we are all still together every other year). But I don’t think of these days as precious anymore. But it is not on Thanksgiving that I give thanks for what I have. I do it every day. (Ask my husband—I think it might drive him crazy.) I look at my partner, at my children, at my family, my friends. It’s glib, but we have so much to be thankful for. Just one month of thanksgiving is simply not enough. Like other “awareness” months and charity campaigns, more so than ever, our holiday season in this country shines a light on those in need, and shuts them out when the New Year begins. This month, I am hoping to teach my daughter about thanksgiving always, and not simply in November. At three, she understands that we have food and others don’t. “So we have to help them,” she tells me. Now to help her understand that turkey the bird is the same as turkey the food.